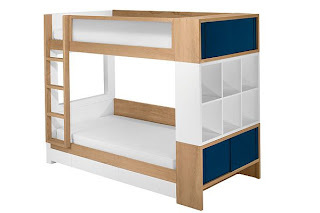 The Duet Bunk Bed by Nursery Works is a beautifully designed bed that has ample space and a modern look. The beds can be stacked or unstacked, they have storage space at the end and fit together with a block of 6 open cubbies. This set would be perfect for a family in an urban setting that is low on space. 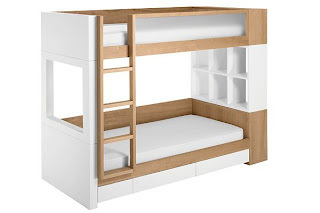 It is a splurge, but worth looking at if you are in the market for a bunk bed.